This 1000-piece jigsaw puzzle is designed by Armand Foster and measures 19-1/4" x 26-3/4". 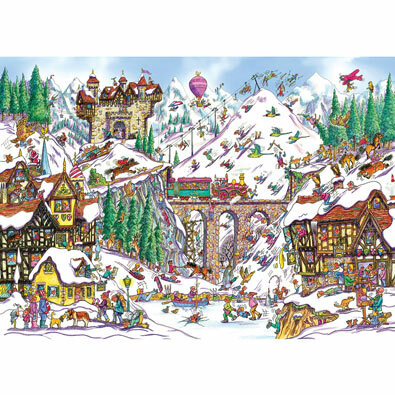 This 1000-piece jigsaw puzzle is designed by Steve Crisp and measures 19-1/4" x 26-3/4". This 1000-piece jigsaw puzzle is designed by Steve Crisp and measures 24" x 30". This 1000 piece jigsaw puzzle is designed by Randy Wollenmann and measures 24" x 30". This 1000-piece jigsaw puzzle is designed by Barbara Behr and measures 24" x 30".